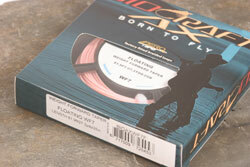 For all-round stillwater use, a 7-wt line is the number-one choice. We took 14 of the latest floating lines on the market, spooled them up and put them through their paces on a windy day on the bank at a Midlands reservoir. Each line was reviewed on its own merit to get a good view of what it is ideally suited for, taking into account the ease of control when casting, turnover, memory and how well it shot through the rings. We used two rods in the test – a Greys GRXi 9ft 6in 7-wt and an Enigma EMG 10ft 7-wt. 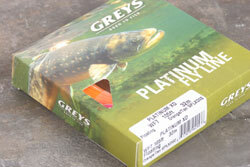 The Greys is a very popular model for all-round use and offers high-performance casting for under £100. The Enigma is a £300-plus model, aimed at the experienced angler who prefers a softer rod for delicate fishing. This line is a bit special. It pretty much combines the best of both worlds – a long-shooting distance line and a smooth-casting presentation model. White is always a popular colour among many anglers, and the blue running line makes it easy to load the rod perfectly on every cast. While this line is slightly heavier than a ‘regular’ 7-wt, the taper ensures that it’s still suitable for fishing delicate patterns on light leaders – it’s a great line. 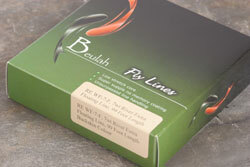 Suited to: Nymphs and dry flies This is a nicely balanced fly line, very smooth to cast, shows virtually no memory and will turn over a variety of flies with relative delicacy. The colour is spot on, being easy to see yet not so glaringly obvious that it will spook wary trout. This would be a great all-rounder, but best suited for the angler fishing nymphs and dries or any other situations where good presentation is vital. This is a superb line for the money. 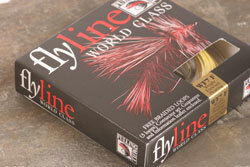 The taper makes it easy to control and suitable for all fly patterns you are likely to fish. Being a little heavier in the head section it loads the rod quickly, making it perfect for novice casters, yet it shoots superbly to make distance casts easy for the experienced angler. Memory isn’t a problem off the reel or on the water, giving you a happy, tangle-free day’s fishing, and the super-bright colour aids bite detection at range. While the pink colour won’t be to some anglers’ tastes, this is a very easy line to get to grips with straight out of the box. The head is fairly short and heavy, which loads the rod quickly, and the short front taper means that it will turn over heavy patterns such as gold heads with ease. While it could be used in many situations, the Biocraft would be best suited to fishing heavy patterns at close to medium range, such as on clear small stillwaters when stalking fish. 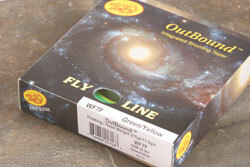 There are many anglers who firmly believe that bright-coloured fly lines spook wary trout. 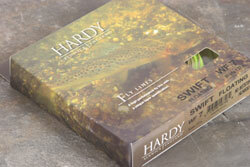 Hardy is obviously catering for these folks with the Swift, thanks to its olive-coloured head section. The line has very low memory and is super-supple, making it handle very well. 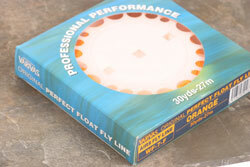 For casting it’s also a gem, being easy to control in the air while handling flies of all types and sizes. 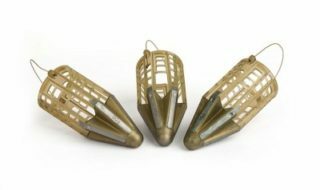 Suited to: Distance Designed for situations where distance is necessary, such as when fishing reservoirs from the bank, this is perhaps best suited to the more experienced angler. The two-tone coloration gives a good marker for the pick-up and shooting of the line, yet it still requires fairly precise timing to get the most out of it. Memory is no problem whatsoever – it’s a lovely line to handle and it shoots like a dream. In the hands of a competent caster, distance casts are easy. 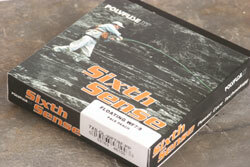 Suited to: Heavier patterns The Sixth Sense is beautifully supple and shows next to no memory straight off the reel or on the water. Rated 7/8-wt, we’d recommend it for use on an 8-wt rod (7-wt rod users should go for the 6/7-wt model) as it did feel a touch heavy. 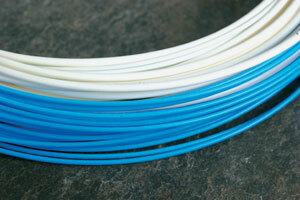 The tip of the line turns over very crisply, making it ideal for casting gold heads or large, bulky patterns. 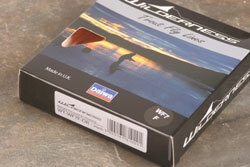 The line also features a low-stretch core, which will aid bite detection and hook-set at range. Suited to: River fishing (roll casts) This is another very supple line that feels great in the hand and shows very little memory. It is heavy for a 7-wt – we’d recommend an 8-wt rod for it – yet when casting short distances, especially using roll or Spey casts, it loads the rod quickly and performs very well. The buckskin colour has been a firm favourite with anglers for many years, and the front taper will turn over a variety of patterns without landing too heavily. 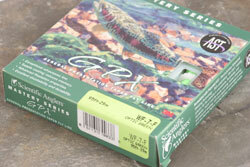 One for the sea-trout anglers. Suited to: All round While this is squarely aimed at the beginner or angler on a budget, it’s a tenner well spent for any fly angler! While it is fairly coarse to the touch and through the rod rings, this doesn’t seem to hamper the line’s shooting ability. It loads the rod quickly, is easy to control in the air and shows very little memory. 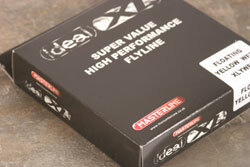 You can’t ask for a lot more from a fly line, and you really can’t ask for a better price! Suited to: All round This is a ‘tweaked’ version of Cortland’s classic line, the peach-coloured 444. With a slightly longer head than the original, the line is designed to provide control when distance casting – this it does very well indeed. Memory straight off the reel and on the water is not a problem in the slightest, and the line will turn over nearly any fly pattern you wish to use. 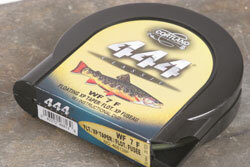 The 444 Classic XP is a superb line, and one that will suit anglers of all abilities. Suited to: Distance with nymphs and dries Coming with around 30 yards of ‘backing’ already attached, make sure you’ve got enough room on the reel for this one! The Partridge is designed for distance-obsessed reservoir anglers, and it serves them very well indeed. However, it does take pretty precise timing to make the most of it, so if you haven’t got a whole lot of experience we’d suggest trying before you buy. Other than that, this is beautifully supple and great for the long-distance nympher! Suited to: All round While this is very supple in the hand, floats high and will provide great bite detection thanks to its super-bright orange colour, it really didn’t load the rod particularly well. Once you got the timing absolutely spot on the whole line disappeared through the rings, but it’s certainly not one for the novice. Try this on a 6-wt rod and it could be a different picture, but neither the Greys nor the Enigma 7-wt rods we used were a good match. Suited to: Distance, particularly with larger flies If you want to drop heavy marabou-tailed lures at ridiculous ranges, look no further! This is more or less a shooting head, with its heavy head section and super-thin running line. It’s designed purely for distance, but does it with style. The line is supple, floats very high indeed and shows little memory, but it’s probably not the best choice if you spend your time fishing tiny dries. For the reservoir bank fisher fishing nymphs and lures, however, it’s a treat. 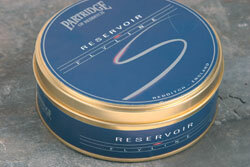 Suited to: All round This has got to be one of the best lines for all-round stillwater fishing in this test. While it may not be the cheapest on test, it’s so smooth to cast and handle that it really is worth every penny. While there was a little memory present straight out of the box, it soon vanished and lay super-straight on the water. We’d recommend this one equally for those fishing tiny nymphs and buzzers to those chucking Minkies to fry-feeding reservoir rainbows. 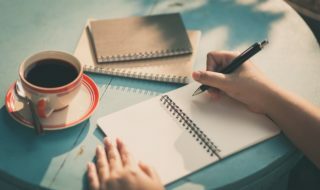 It’s a really tricky task to pick one line to ‘win’ this test – there is such a range of styles and they each have their uses for a particular situation. It’s therefore a case of picking the line that suits your style of fishing… or carrying half a dozen whenever you go out! We have, however, isolated three lines that we feel deserve special merit. The first should be THE choice for every beginner, or as a trusty standby for the more experienced – the Masterline Ideal XL. It is easily handled, loads the rod quickly and lies straight while floating high on the water. The distance caster or angler who fishes larger patterns at fisheries where strong breezes can be a problem should look no further than the RIO Outbound. It may take a little getting used to due to its weight, but the 40-yard cast is a real possibility for most anglers with a half-decent technique. 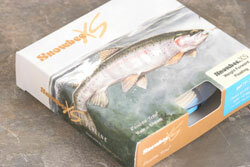 Finally, if we were to pick a one-line-fits-all model, we’d recommend the Snowbee XS Twin-Colour. 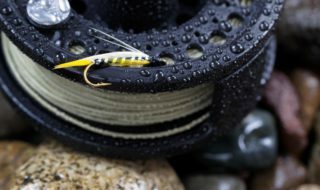 It handles like a dream and makes distance casting simple, yet provides the more delicate turnover that the nymph and dry fly angler demands; you’ll be hard pushed to find better on the market.